LASIK surgery has a high success rate and low risk of complication, making it an overwhelmingly satisfying procedure for our Bakersfield patients. 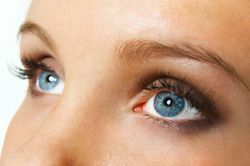 Still, like any surgical procedure, LASIK requires a successful recovery before patients can benefit from treatment. As a result, patients must follow any post-operative instructions given, especially during the early stages of recovery. For LASIK, this means the temporary use of special protective eyewear, often referred to as eye-shields or goggles. If you have recently undergone laser vision correction or are interested in such a procedure, take a moment to learn the importance of LASIK goggles after surgery. We understand that LASIK goggles can seem like an impediment, but luckily you will not have to wear them for long. In most cases, patients only have to wear their goggles continuously through the first 36 to 48 hours, when their eyes are most sensitive and the side effects of surgery are most prominent. After this time, patients can go about their days as they normally would, while still being cautious not to irritate their eyes. However, it is good idea to continue goggle use at night for an additional week or two, since patients cannot consciously control their actions while asleep and therefore need extra protection as their eyes heal. Deterrence from eye rubbing: After surgery, the eyes will likely be dry and irritated, and you will therefore have an urge to rub them. It is important at this time to leave your eyes alone, as rubbing will only irritate them and heighten the risk of infection. Goggles function as an eye shield not only against foreign objects, but also yourself. Reduced risk of infection: The rate of infection is very low with LASIK surgery, but only when you follow your doctor’s instructions for recovery. By keeping your eyes free from contact with other objects, googles allow your eyes to heal properly. Proper healing of the corneal flap: Even if infection is not present, the corneal flap may encounter problems if it shifts out of place while healing. Wearing your goggles for the prescribed time will protect the flap from accidentally moving or folding over the eye. Extra protection at night: While asleep, it is likely that patients will attempt to rub their eyes or will encounter friction from pillows and sheets. Goggles are particularly important for the protection of your eyes at a time when you have little to no control over your movements. After only one surgery, 95 percent of patients achieve vision of 20/40 or better, allowing them to drive, read, and perform similar activities without the use of corrective lenses. Similarly, satisfaction rates among patients are often cited as being between 95 and 98 percent. Of course, all of these positive experiences are reliant upon effective surgical methods and post-surgical recovery. In order to fully benefit from your LASIK treatment, follow your doctor’s instructions precisely. Contact us for more information on LASIK or to schedule an appointment with one of our eye care professionals.